How Does Webhose Extract Data from the Dark Web? Extracting data in the dark and deep web is different than collecting data from the open web. While data on the open web is structured and searchable, data on the dark web is anonymous, unmonitored and uncontrolled. As a place where both white-collar cybercrime and violent crime is planned, it’s important to understand how to collect data from the darknets while at the same time protecting oneself from becoming a target of cybercrime. Another main difference is that while data on the open web has a standard search engine and domains that remain fairly constant, content on the dark web is more dynamic and elusive. Criminals advertising plans of data leaks or cyber attacks often transfer their advertisements between marketplaces and platforms to keep law enforcement off of their tracks. In addition, the darknets have their own terminology for communication, causing those who are unfamiliar with the correct search terms to have a harder time finding accurate data. These two differences make navigation of the darknets particularly challenging. In response to these challenges, Webhose’s dark data feeds provide an anonymized network and infrastructure to monitor any activity posing a risk to your organization. Organizations gain access to data while having complete security and protection of their identity. In addition, our service also extracts hidden content from the furthest ends of the darknets, such as encrypted and password-protected illicit content. As the amount of data continues to expand and magnify, organizations will need to broaden their data collection sources to include the darknets. Webhose’s dark data feeds extract data from the deepest corners of the Dark Web and scan for non-public information (NPI), personally identifiable information, and early plans of terrorists attacks to minimize the damage done in advance. This type of unstructured and structured data comprehensively covers millions of sites, files, marketplaces and messaging platform — all from one single endpoint. Granular filtering capabilities also give organizations control over the type of data being searched. For instance, Webhose’s enriched entity capabilities allow for darknet searches to include locating data such as: emails, organizations, locations, wallet ID, addresses, social security numbers, credit card and bank information. These laser-focused search capabilities allow organizations to filter through the massive amount of data in the dark web and uncover relevant risks to them, such as major bank breaches or drug deals — long before they are carried out. Webhose’s dark feeds data service delivers quality and accurate data that allows you to start mining and gathering relevant data immediately with a simple RESTful API call. That means that instead of wasting precious time and resources on collecting and extracting data, you can focus your efforts on data analysis that catches criminals and fights crime. What’s more, our data service enables organizations to meet these needs at scale and on demand so that they can constantly monitor threats across the darknets. Unfortunately, as the risks of cyber threats rise across different industries, including healthcare, finance, intelligence and law enforcement, the need to scale data collection and extraction from the darknets will increase in response. Learn more about how you can access data from the darknets with Webhose’s Dark Web API. 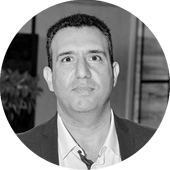 Liran Sorani is the Cyber Business Unit Manager at Webhose.io, a leading web data provider used by hundreds of data analytics, cybersecurity and web monitoring companies worldwide. Previously, he was the Director of Product and Business Intelligence Solutions at Cyberbit, a world-leading provider of cyber range platforms and the only provider of integrated IT/OT detection and response. Before that, he was the Senior Enterprise Architect at Verint, where he was responsible for the design and architecture of analytics and collection solutions. Talk to our Data Consultants and find out if you're eligible to access dark web data. How Can I Get Access to Data Feeds in Real-Time? Do You Provide Data from the Google Search API? Do You Provide Data from Social Media Accounts? Can I Build My Own Datasets for My Machine Learning or (NLP) Needs? Can I Use the News API for Financial Analysis? How Can I Get Access to Comprehensive Coverage of the Web? What Type of Sentiment Analysis Can I Measure? What Tools Can I Use to Monitor the Dark Web?